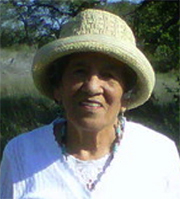 Vicenta H. Juárez, 85, of Buda, TX passed peacefully from this world onto the next with her family at her bedside. Juárez was born in Lytton Springs, TX on Oct. 27, 1933. She was a loving, caring, giving and strong individual. Juárez loved raising her seven children who were her pride. She enjoyed spending time with them, especially her grandchildren. Juárez enjoyed listening to music and cooking for her family. Juárez and her pet dog Queen “E” were inseparable; both cared for each other immensely. Both went for long walks every day – rain, snow or shine. She loved the bright and vibrant colors of beautiful flowers. Juárez had a 27-year career teaching children with Del Valle ISD. Her passion for teaching children and mentoring new teachers was incredible. Juárez will be dearly missed by family, friends and many children who she taught and encouraged. Left to cherish her beautiful memory are her children, Richard Juárez, Diane Juárez, Julie Suniga and husband Gilbert, Nora Miranda, Isabel Trevino, Mary Gonzalez, Paul Juárez and wife Julie; 18 grandchildren, 21 great-grandchildren, 5 great-great-grandchildren. She is preceded in death her husband Pablo E. Juárez. Family will receive guests for visitation on Thursday, Jan. 10, 2019 at 5 to 8 p.m. at Harrell Funeral Home in Austin. Recitation of holy rosary will be held at 7 p.m. with Juárez’s grandson Father Matthew Suniga reciting. A Mass of Christian burial will be held on Friday, Jan. 11, 2019 at 10 a.m. at St. Peter the Apostle Church located on 4600 E. Ben White Blvd., Austin, TX 78741. Please sign the online guest book and send a floral expression to the family by visiting www.harrellfuneralhomes.com.